Candela Andújar was born on 26 March 2000 in Barberà del Vallès, Barcelona. Andújar started her footballing career as a youngster at the Barberà Andalucia football school. 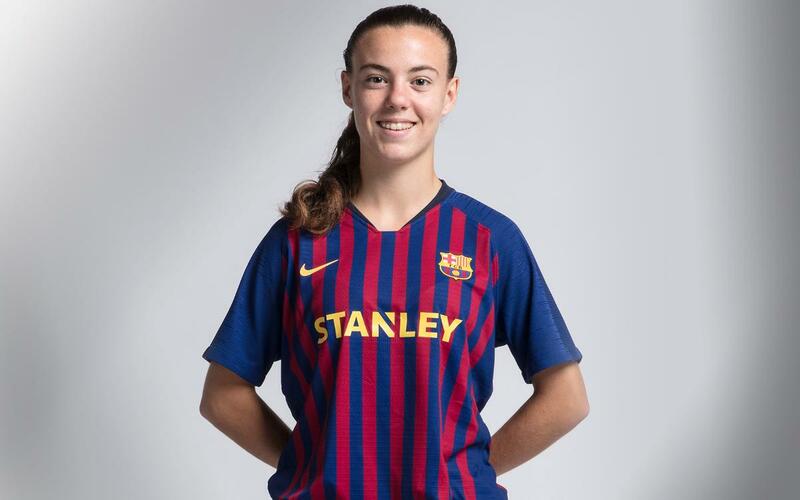 After signing for Sant Gabriel, she stood out with the Catalan club and she signed for Barça Women after a year with the team from Sant Adrià de Besós. Candela Andújar made her debut for the first team in a 2-0 league victory against Sevilla, coming on to replace Leike Martens at the age of just 17. For the 2018/19 season she became a formal part of the Barça Women squad. The Catalan player has been an international in several different age categories and in 2017/18 she featured in the U20 World Cup with her team mates d’equip Patri Guijarro, Clàudia Pina and Aitana Bonmatí.